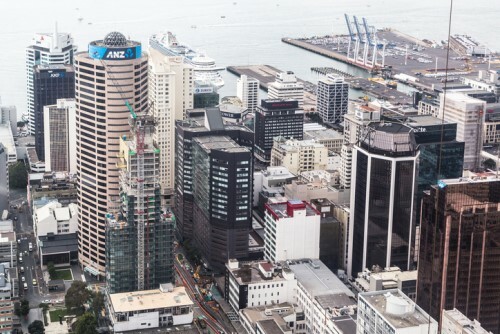 New Zealand has been ranked among the top 190 countries to deal with by the World Bank, with its Doing Business 2019 report listing it among the top three economies for ease of doing business. New Zealand, along with Singapore and Denmark, was noted for “exemplifying a business-friendly environment,” and a number of overseas companies have established or expanded their foothold within the country over the last 12 months. Insurance Business spoke to two major industry players about the ins and outs of how insurers and clients deal with New Zealand, as well as the country’s unique risk landscape and its potential for future growth. “Globally, you’ve got a number of geopolitical factors that are starting to influence where companies think about taking their operations,” Marsh’s head of risk consulting, Pacific, Costa Zakis explained. Zakis says the top risk for businesses operating in New Zealand is natural disasters, which is significant and needs to be addressed with a strong insurance framework. Nonetheless, he says this risk is insurable in a way economic or political instability is not – making the country an attractive area for business investment. Mark Searles, outgoing CEO of AUB Group, says New Zealand has been a top performer for his company over the last three and a half years, and believes the country’s economic outlook will likely mean a safe two-three years of strong, sustained growth. AUB Group entered the New Zealand market in 2014 when it acquired 50% of insurance brokerage BrokerWeb Risk Services, and recently acquired the remaining 50% to solidify its presence within the market. “We’ve also started to really build up our underwriting capability, and we’ve started working with Rosser Underwriting to acquire that business,” Searles continued. Searles says that although New Zealand has been beset by some of the market concerns affecting Australia in the wake of the Royal Commission, transporting Australian operations to New Zealand is relatively simple, given the core underlying principles of a business do not change. “From an insurance manufacturing perspective, there’s a predominance of two strong incumbents – NZI and Vero, and we have very strong relationships with both of them,” he explained. “So while there are some local characteristics that may be a bit different, the general way of working mirrors what we already have, and we also bring a lot of IP and learning to benefit the New Zealand marketplace.